The Council has two allotment sites in the village. The main site is on Cow Lane which is about 400m to the north of the village, off Sheepstead Road. The second site is on Park Side, but is very much smaller and doesn't have running water, so those plots are more suitable for the neighbouring houses. The current charge for a full-size allotment on Cow Lane is £12 per year plus a charge for the water which is used at the allotments of either £16 per year if using watering cans, or £26 per year if using a hosepipe. Half-size plots can be rented at half this cost. A full-size plot is approximately 50m by 7m and a half-size plot is approximately 25m by 7m. The allotments on Park Side are of different sizes and the charges vary accordingly. 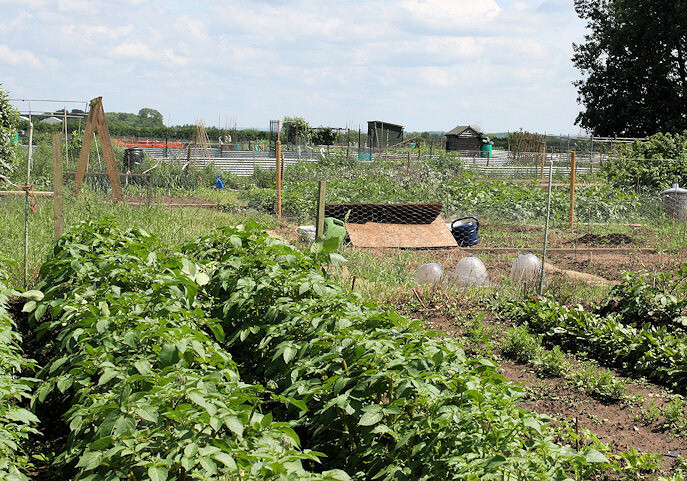 The following links give a diagram showing the layout of the plots, a copy of the tenancy agreement which anyone wishing to rent an allotment must sign and details of the process if you wish to rent an allotment.